Me + Happiness = together again for the first time in a long time. I'm LOVING my kids. I'm loving being a mom. I'm loving every moment with my little family. I'm feeling "normal". I'm feeling rested. I love the Fall weather. I love Park City. I love my friends. I love my family. I love that I didn't fall into a bottomless pit of mental insanity like I thought I was going to during and after my pregnancy. This past weekend was wonderful. 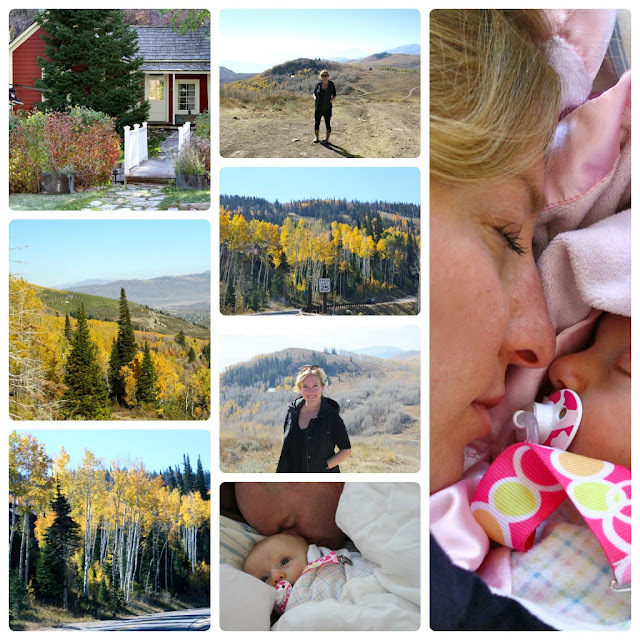 We drove to Guardsman's Pass, made new friends, snuggled, relaxed, and took inventory of our lives. I loved it. *all proclamations of happiness and love of motherhood are subject to change. Feelings and emotions, as of this moment, are stated as such. Restrictions apply. LOL at the asterisk! So true! Enjoy Molly, you deserve it. I always am fearful of telling others when I'm feeling happy. I don't want anyone to hold me to it! I'm happy for you though...you deserve only happiness always. Glad to read it! And I totally get the caveat. LOVED this post. I admire the happy posts along with the sad. Such is life after all. You are totally fake sleeping in that picture.